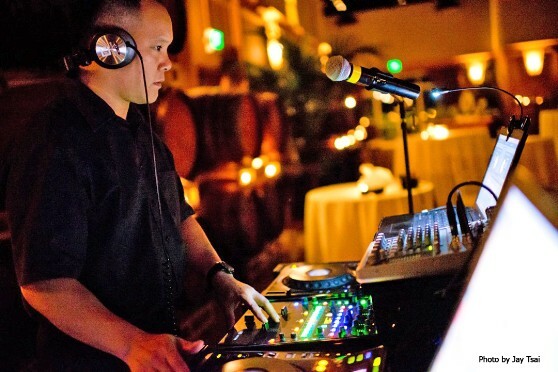 DJ John Jow has been providing sound and DJ services for weddings, corporate events, night clubs, fundraisers and special celebrations for over 20 years. He has a deep passion and appreciation for music and he is dedicated to making your event a memorable one from beginning to end. Along with his years of experience and extensive knowledge of music, John is also a sound engineer so he knows what good sound is supposed to be. He uses only professional sound equipment and his DJ lighting system is unmatched. He will give you his utmost attention and sit down with you to help you plan your event. John DJ's numerous weddings each year and he has also DJ'ed for companies such as Macy's, Gymboree, Samsung and Gap. Along with DJing corporations, he has also DJ'ed at nightclubs such as 1015 Folsom, Ruby Skye, DNA Lounge and The Sound Factory.